In the First World War, German minenwerfer (mine throwers or trench mortars) were used as infantry weapons and not part of the artillery. They could be disassembled into more easily-carried loads and set up in a narrow trench. Their short range meant they had to be placed close to the front lines where ammunition re-supply sometimes became a problem. 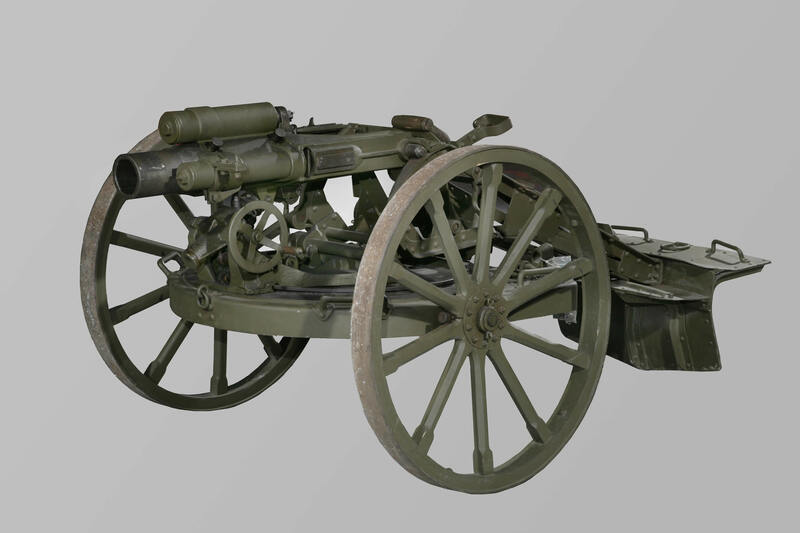 Germany produced minenwerfer in calibers ranging from 76 millimetres to 250 millimetres. This 76 millimetre mortar was captured by the 3 Canadian Trench Mortar Battery and returned to Canada as a war trophy.